After a big day out in Shopville and with smiles on their faces, The Lil' Shoppies head home to Happy ville to make their own Happy Places! 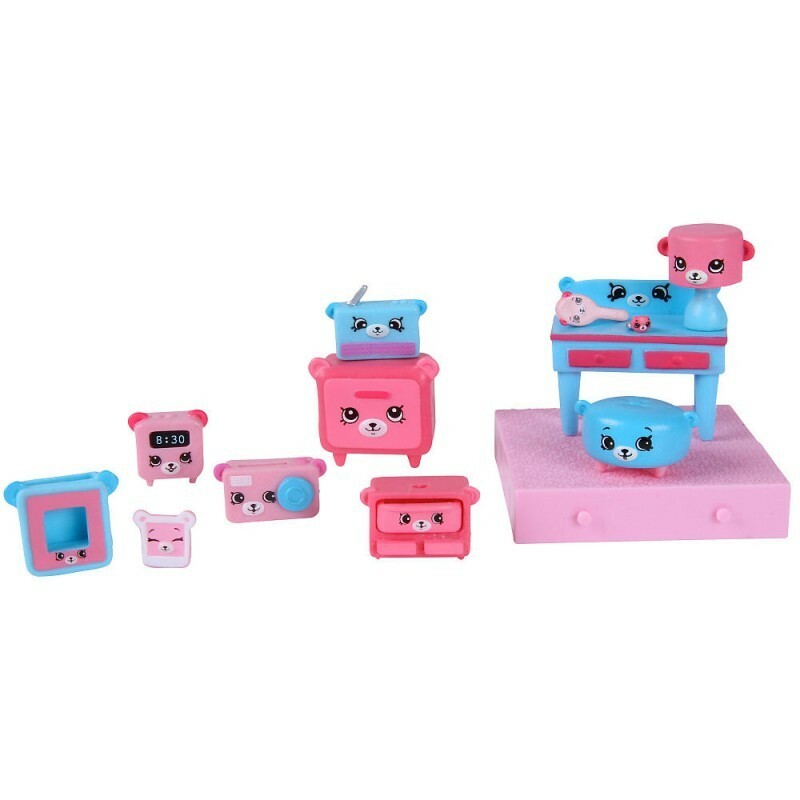 Now you too can create your own Happy Place with the Lil' Shoppies and their cute Petkins friends. There are so many ways to decorate and display with the Lil' Shoppies Petkins! What does your Happy Place look like? The Decorator's Pack has just been delivered. Unpack a box load of Petkins and add a whole lot more fun to your Happy Place! There are 1000s of ways to decorate and display! Decorate more with Petkins galore! Make your Bear Bedroom even more dreamy with the Decorator's Pack! There are 1000s of ways to decorate and display! Collect them all! Includes 1 x Series 1 "Shopkins" Happy Places decorator pack. Plus keep a look out for the limited edition Petkins Heirlooms! Please note: this is an assorted listing, 1 x assorted character doll pack will be sent on order.